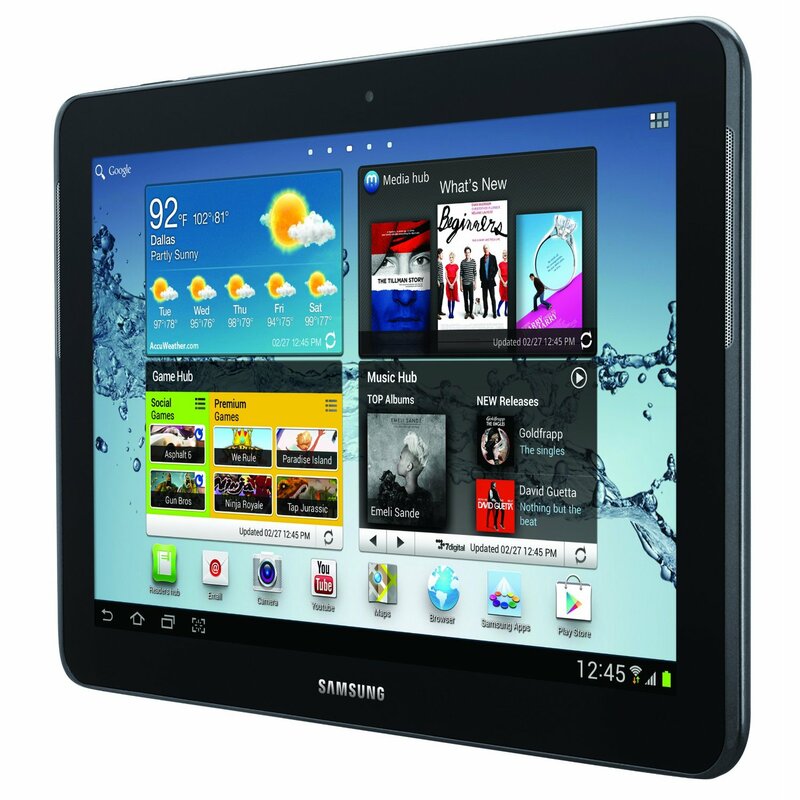 Experience a variety of fun mobile entertainment in the Samsung Galaxy Tab 2 which is a convenient, interactive tablet PC. It features a large touch screen that lets you easily navigate through the web, through its embedded applications, and many more. It even allows you to download games and other multimedia apps from thousands of selections from Google Play using an Android 4.0 platform and save them inside its expandable flash memory. 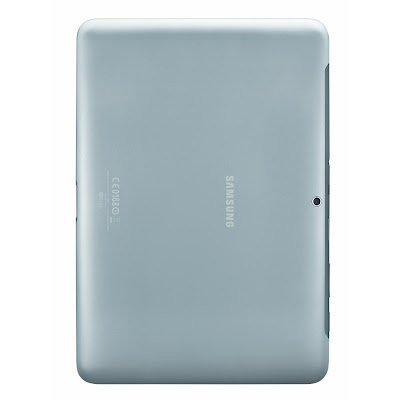 For smooth interaction and operation, it runs with a dual-core processor. 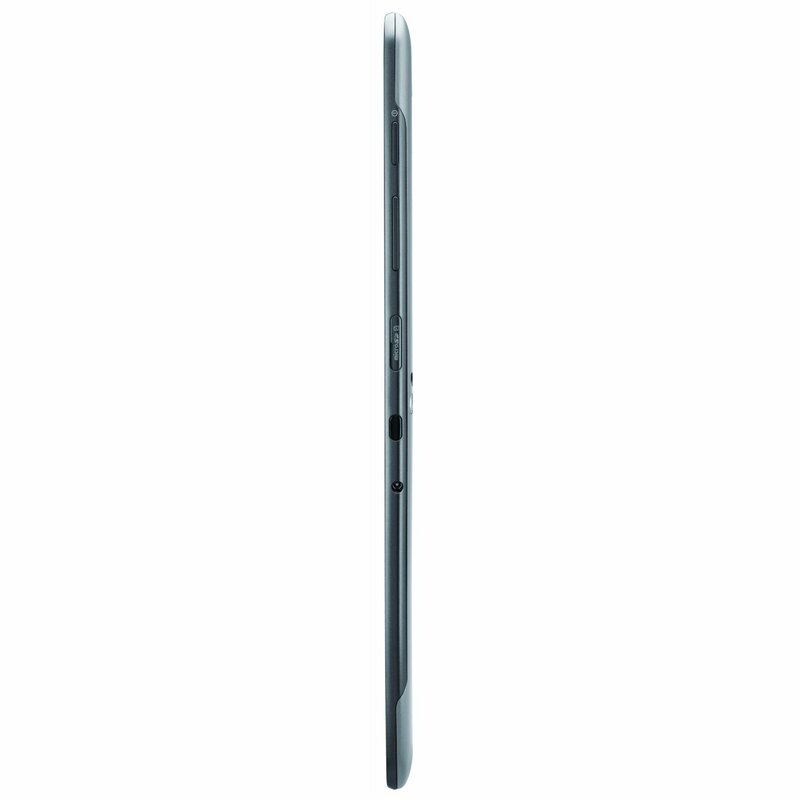 Other features include Bluetooth capability, rear camera, front camera, and a micro SD slot. Access the internet and social media over your home network via ultra-fast Wireless-N Wi-Fi. And with the Smart Remote app and built-in IR Blaster, you can watch and control your TV content - all from the palm of your hand. The device offers full support for Adobe Flash Player 10.1 for accessing Flash-enabled websites, watching video and playing games. With the Android 4.0 OS (aka, Ice Cream Sandwich), you can enjoy the most ramped up, up to the minute features and multitudes of apps supported by new the ICS technology. You'll get an evolved, intuitively designed UI that transitions seamlessly across all your applications, plus enhanced web browsing, faster overall response, and easier accessibility to preloaded Google Mobile apps including YouTube, Maps, and more. Designed to fit in one hand, typing messages or notes is simple and easy with it's virtual QWERTY keyboard. Bluetooth 3.0 wireless connectivity for hands-free devices and stereo music streaming, and GPS for navigation and location services. With integrated Google technology, this tablet brings one-touch access to the popular Google mobile services millions use every day, including Google Search, GTalk, Google+, and contacts/calendar synchronization. You can immediately check out top e-books, latest hit songs, premium games, and recent video releases. The home screen layout maximizes your experience of Samsung Hub services by providing direct access to apps you use all the time. Samsung's Video Hub is your personal video store concierge - 1,000+ titles and counting - with virtually no wait time during progressive downloads so that you can enjoy video contents right away. Forget lugging around stacks of books - Readers Hub lets you delve into the intimate pleasures of digital reading, a wealth of e-books on your own personal screen. Additionally, Music Hub provides a full music store loaded with your favorite tunes. And Game Hub is your go-to source for premium and multi-player games, letting you jump into action any time, wherever you are. AllShare Play melds digital content from different networked devices into one seamless flow - it's almost like having one device. You have the freedom to download photos or movies to store, then push to watch later on your Samsung HDTV. AllShare Play also acts as a gateway to web storage services where you can conveniently and securely upload and backup your data for safekeeping or sharing. Samsung's ChatON app connects your friends and acquaintances across devices and platforms in a more expressive, dynamic way with unique features like Group Chat, Multimedia Transmission, Buddy Interaction, and more. You can also engage in spur-of-the-moment group video sessions with Google+ Hangouts as easily as bumping into somebody on the street. 2. External slot for micro SD card. 3. Connects quickly to the available wireless network. Why you shouldn't buy it? 1. Lack of auto-focus in the rear camera. 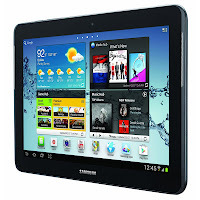 I will recommend it to anyone who is looking for a tablet. It is just awesome. It is excellent for your everyday basic computer functions at home as well as when you are on the move. If you somehow don't like iPad, then definitely go for it. If you cannot live without a rear camera, then this tablet is not for you. Visiting from India? See it on Flipkart.